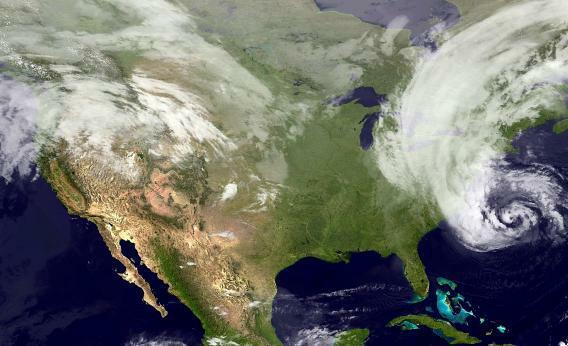 Hurricane Sandy and the proposed U.S. weather commission. Will Hurricane Sandy Convince Congress To Form a U.S. Weather Commission? During a congressional briefing last month, representatives from the University Corporation for Atmospheric Research, which represents nearly 80 American universities, urged the creation of a U.S. weather commission. Such a commission, the meteorologists say, would help Congress identify spending priorities, call attention to problems, and help minimize the economic and human toll from major weather events. (Like, say, Hurricane Sandy.) It would also help the disparate organizations that make up the weather community—like universities, private companies, and government agencies—better communicate with one another. UCAR hopes that the weather commission will be established in 2013 (though surely it depends at least in part on Election Day results). Certainly this week’s superstorm has reminded both politicians and laymen the importance of preparedness for major weather events, even as there are problems within the forecasting system. As the New York Times reported in the run-up to Sandy, after “years of mismanagement, lack of financing and delays in launching replacements,” U.S. weather satellites are “dying”—and as soon as 2017, we may even face a year or more without satellite coverage. Furthermore, Jason Samenow wrote on the Washington Post’s Capital Weather Gang last month, “the U.S. is lagging the Europeans in numerical weather prediction and the computing resources necessary to improve forecasts.” Given all the chatter about whether Sandy and other weather monsters are related to climate change, that is particularly disconcerting. So will Hurricane Sandy help make the case for a commission?